Interviews with Laura Davies and Georgia Hall. North Berwick's Clara Young, Scottish women's amateur champion at Monifieth in 2015 and beaten by Connie Jaffrey in last year's final at Royal Aberdeen, finished joint third today (Saturday) in the Florida State Match-up US women's college tournament at Don Veller Seminole course, Tallahassee, Florida. 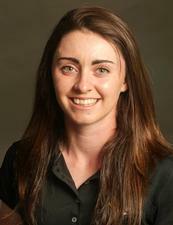 Clara, a student at the University of Missouri, had scores of 69, 72 and 68 for a seven-under-par total of 209. She birdied four par-5 holes, the fourth, ninth, 10th and 15th, in a bogey-free final round. Clara finished three strokes behind the winner, Ainhoa Olarra (South Carolina) who had scores of 66, 69 and 71 for 10-under 206. Team-mate Emma Allen from Southampton finished joint 12th on 215 with scores of 71, 70 and 74.